Wouldn’t it be great if there were a form of advertising that you only had to pay for when you get results? It would be like having a gym membership and only paying for the days you actually worked out! With Pay-Per-Click (PPC) Marketing, you only pay for your online advertising that works. With most traditional forms of advertising, you have to reach a very large number of people in order to get a few results. If that sounds inefficient, that’s because it is, not to mention expensive. Pay-per-click marketing allows you to target your message precisely to your intended prospects, and then only pay when those prospects actually click on your advertisement and visit your website. If that sounds a lot more efficient, then good; you’re paying attention. This is why pay-per-click marketing is a lot like “8 minute abs” of the web marketing world. Because it is so targeted and efficient, it is a great way to promote short-term or seasonal campaigns, increase branding efforts, generate immediate online exposure or diversify your marketing mix. What’s really cool is that you are reaching potential customers when they are actively searching for your products and services. When I place a PPC ad where can it be found? If you take a look at the search engine results page below, you can see that the pay-per-click ads are placed at the top and down the right side of the page. This is considered “prime real estate” because the ads are displayed at or near the top of the first page of results. The great thing about PPC marketing is that you get to choose how much you are willing to spend for each click because you bid on the keywords and phrases that you want to target. Your bid, combined with the overall quality score, will determine your ad’s placement on the page. This bid system means that the more popular and high traffic keywords will of course be more expensive. 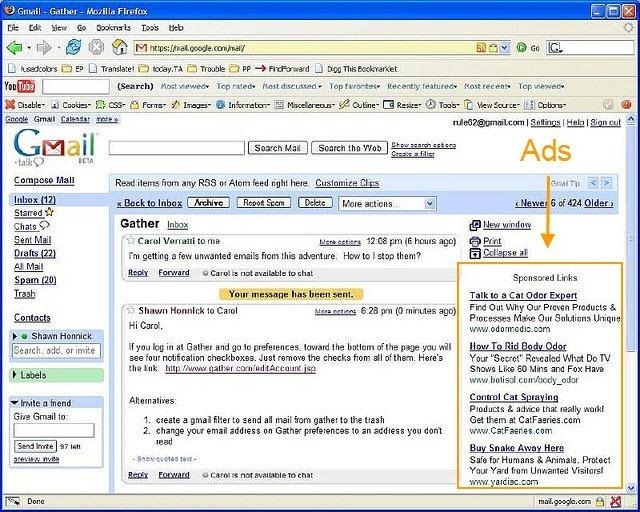 It’s like Ebay for advertisers! Depending on the popularity of your keywords, you could pay anywhere from a few cents to a few dollars per click. The nice thing is that you don’t pay anything to place the ad – you only pay for clicks that go to your site. Want to find out if Pay-Per-Click is a good fit for your marketing strategy? Use the form on the right to contact us for more information on this targeted, affordable option.